Smart Jet MEDICAL TRANSPORT is, first and foremost, a certified and licensed air carrier. By outsourcing Smart Jet MEDICAL TRANSPORT medical transport services, you are guaranteed that the service is carried out in accordance with established standards and procedures, not only on the ground, but above all – in the air. 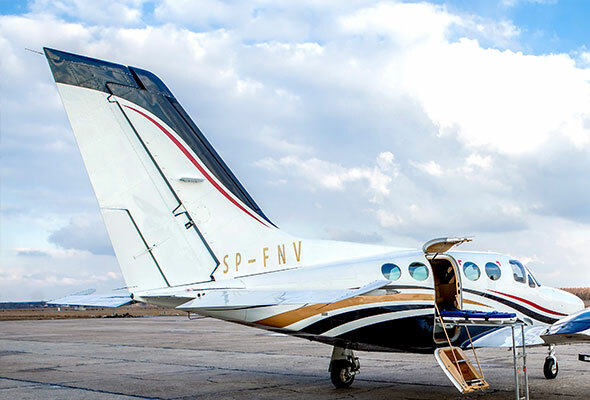 For the purpose of medical air transport services, we mainly offer the Cessna 421C type plane, on board which is installed a certified medical kit (Ambulance Module No 2800-001), by the renowned American SPECTRUM AEROMED company. The aircraft is also equipped with certified medical equipment, designed for use in aircraft transport. To learn more about our equipment. In our offer, we also have the much faster, more comfortable and spacious aircraft, powered by jet propulsion engines. 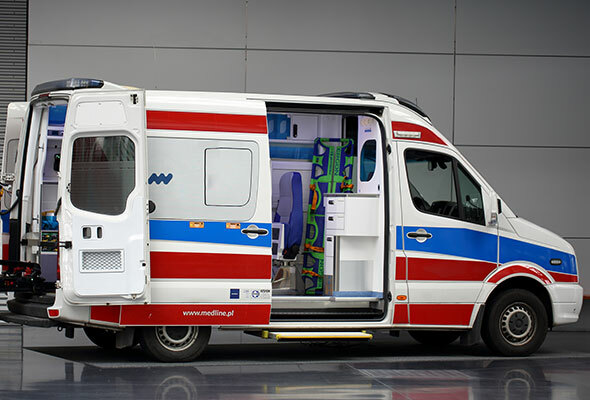 Smart Jet MEDICAL TRANSPORT, in order to realize the “bed to bed” service, also provides ground vehicular transport. We offer only the most modern and modernly equipped vehicles, and in case of outsourcing services to subcontractors, we accept only the vehicles that meet our quality and conformity requirements. In domestic transport, we employ only tried and tested subcontractors, subject to constant audits and in case of international services – only contractors positively verified by the Smart Jet MEDICAL TRANSPORT Quality Department.